This page is where I get to talk about things that I find interesting--and hope others will, too. It's not exactly a blog, but something on that order. The list of current topics (and dates) are below to the left. To the right, I will have links to older topics that I've archived. Please feel free to share anything I post. You can do this by clicking on one of the icons just below. Do the recent revelations that the NSA has been scooping up our communications in a effort to find evidence of some dangerous conspiracy bother you? That your phone, your email, your social network sites, even your credit card and utility bill data are available for the perusal of some nameless bureaucrat/spy-catcher in a windowless building somewhere? We are all connected, but does that make us part of a vast conspiracy? Read my take on this. We had pulled into a little settlement somewhere along the way, a few tiny houses of corrugated tin along its dusty streets, with a handful of tiendas and bars marking what seemed to be downtown. Thirsty after the long ride, I headed for the nearest bar, a dark place which at that moment had no electric power or lights, as most of the generators were shut down during daylight hours. I walked in to find a single figure sitting in the shadows at the bar, nursing a long-nosed bottle of Cerveza Quilmes. He raised his head and stared at me for a moment. I stared back. At the same instant we recognized each other, having spent a couple of weeks together two years earlier white-water rafting in southern Chile. He said he was passing through, going in the opposite direction toward the coast, and just happened to stop for a beer. I have often thought about that episode, the sheer improbability of meeting someone I knew in what was as close to the middle of nowhere as one could imagine. What were the odds? How did it happen that two Americans who knew each other, one from northern California, the other from Georgia, ended up the same spot at the same time? Perhaps we are all more connected than we realize. A couple of weeks ago it was revealed that if a certain individual were chosen for surveillance, his electronic communications for three levels away were also monitored, looking for patterns to indicate nefarious activity. In case that’s not clear, let me restate it another way. 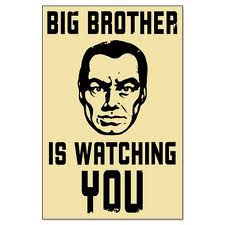 Say the government decides to monitor me. Say I have a hundred friends with whom I regularly communicate by email, phone, text or the like. Say each of them have a hundred friends, all of whom will be monitored, and each of those friends has a hundred more, etc. If you do the math, you quickly discover that my hundred friends lead to another ten thousand friends (100 X100), and so on. In this example the NSA could be monitoring the electronic communication of as many as a hundred million people! Clearly it doesn’t work like that; most of us don’t have a hundred people with whom we’re in regular contact. But the principle is there. More recently, it’s been reported (NY Times 9/28/13) they are also using so-called “metadata” to further develop patterns of individual behavior. This includes GPS and cell phone tower readings, social network information, internet search topics, utility bills, credit card charges and the like to determine what we are up to. Scary! It seems it’s all about our connections. Guilt by association, perhaps? So how connected are we really, and what are the nature of our connections? Everyone seems to have heard the expression “Six Degrees of Separation,” but few actually know its meaning or origin. The term itself was the name of a 1990 stage play by American playwright John Guare, later adapted for a movie of the same name. The title was taken from the poplar—but unattributed—adage that any two random people are connected to one another by a chain of acquaintances that measures, at most, five individuals. But where did that thought come from? If you trace it back, credit needs to be given to Frigyes Karinthy, a Hungarian writer who in 1929 published a short story titled “Chain-Links.” In musing about the connectedness of the world one character postulates the concept of a maximum of a five-person separation between any two random people among the then-1.5 billion population of earth. (It’s more than 6 billion now!). But this was and is more than a literary theme. How and why we humans interact with one another on this increasingly small planet has fascinated mathematicians for more than a century. It laps over into Chaos Theory where one simple action leads to a chain of events whose outcome seems impossible to predict. This aspect—predicting what we have always considered unpredictable—seems to be the focus of the NSA’s interest. Mathematicians often refer to this as “The Small World Problem,” the title of a study reported by Columbia University psychologist Stanley Milgram in the late 1960s. Working with another psychologist from Harvard, he designed an experiment that attempted to test how connected two random individuals in the United States might be. He sent packages to nearly 300 arbitrarily selected people in Nebraska and Massachusetts, asking them to find a way to forward the package to a specific person in Boston whom they were highly unlikely to know. To do so, the Nebraskans had to send the package to someone they were acquainted with personally and whom they thought might know the eventual recipient in Boston—or who might know someone else who would. Milgram counted the number of times the package was forwarded before it reached its intended recipient. He found that it took on average 5.2 friendship links to connect the two persons. Although he never used the term “six degrees of separation” Milgram is often erroneously given credit for it. But that was decades ago, before the internet, email and social media. Surely the world must be better connected today? Indeed, it is. In 2011 a team of scientists examined links between Facebook users, confirming this. 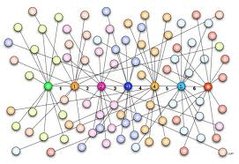 In the highly connected United States, they reported that the number of acquaintances separating any two people to be 4.37, while in the entire world it was only 4.74. But you must remember that these people had at least one thing in common anyway—they are all computer users who’ve joined Facebook. The more you narrow down the field, the fewer the degrees of separation will become. For example, if you only looked at Facebook users in Georgia, it’s probable that the number would be far smaller. Why is this? To determine the “connectedness” between any two individuals, you first need to consider if they have something in common to begin with. For example, any two Americans, no matter how unrelated they may be, are more likely to be connected to one another than, say, a member of a Bantu tribe in central Africa. Those who have considered the problem have even come up with a mathematical formula to estimate how many steps apart totally unacquainted persons might be on a theoretic basis. That number, as you might expect, depends on how many connections you have to begin with. If, for example, you assume that any given person has 30 connections, it works out that any two random humans on the planet are theoretically only about 6 links apart. That number goes down with the more connections we have (as in the Facebook example I cited above), or up for more isolated individuals. When you think about it, the fellow from California and I were a lot more connected than it may first seem. We were both fairly young Americans who enjoyed outdoor sports, especially in southern South America. We both had the time and resources to pursue our interests there. It was winter here, the perfect time for a vacation in the summer of the Southern Hemisphere. Et cetera. When considered in that light, our meeting was not totally random; we were doing what we both considered fun, which vastly increased the odds of our paths crossing in what would seem to most folks an unusual place. In other words, we were far closer than six degrees of separation. The National Security Agency has stated they are trying to prevent terrorism, a worthy goal for sure. But I would not be surprised if they are monitoring my every email and phone call. This essay is about connections. Here are a few of mine: I travel outside the country frequently. This year alone I’ve been in Japan, Thailand, Cambodia, Peru and Costa Rica, not to mention my domestic trips. My brother has what is best described as a “sensitive” job with the State Department. He was formerly stationed in the Middle East, but is now in Peru. We email each other frequently and occasionally talk on the phone. Last year, by utter happenstance, my DNA profile revealed that I am distantly related to someone who described himself as a “Muslim Arab” and who lives in the Middle East. We exchanged a few emails, not doubt raising an alarm in the NSA’s vast monitoring network. I am a writer, and my internet searches are often about off-the-wall things, some of which might be deemed “suspicious.” When I opened a Twitter account earlier this year, almost immediately I found myself being followed by some unknown person whose name was written in Arabic script. When the NSA scandal broke recently, I blocked him (or her).